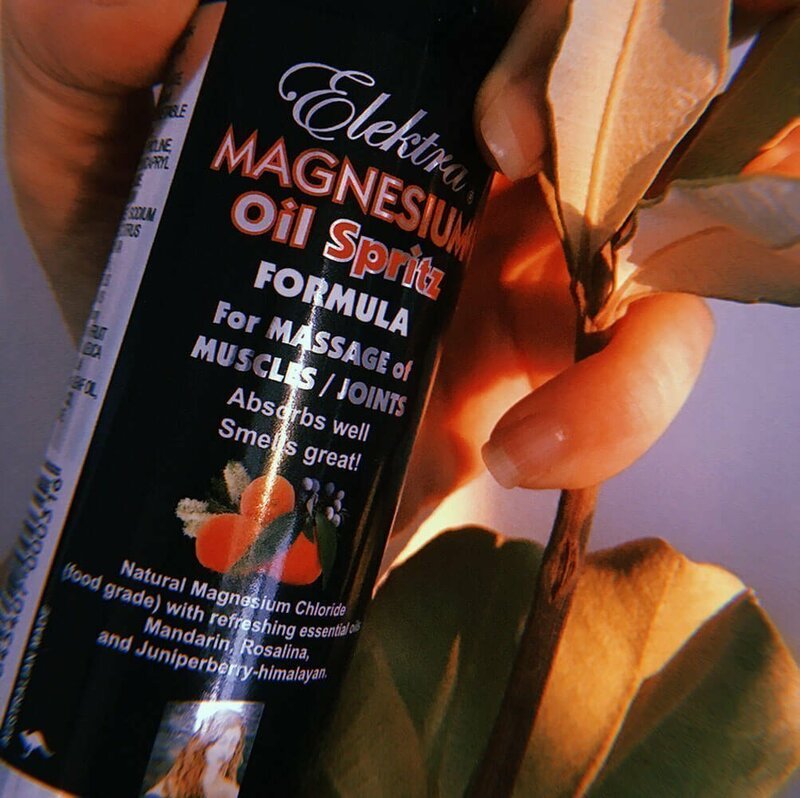 Elektra Magnesium Oil Spritz Formula used in massage for muscles and joints helps to relax and unwind! With a refreshing mandarin fragrance it offers potent high concentration magnesium chloride 60% formula plus botanical ingredients to enhance absorption, avoiding the sticky irritating residue of straight magnesium oil. 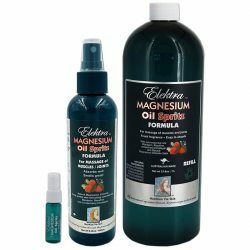 Elektra’s magnesium oil is not a moisturizer like Elektra Magnesium Cream, however it delivers high concentration magnesium where required. Use in massage to loosen up tight muscles and joints. Apply as much as you like because everyone will have differing needs, depending on stiffness, tension and magnesium deficiency. Your body will give you the feed back you need to work out the right amounts. Just spray where you need it and feel the difference. If you have dry skin you can lubricate skin with Elektra Magnesium Cream or Lotion first and then add on Elektra Magnesium Oil on the areas you need a higher strength. 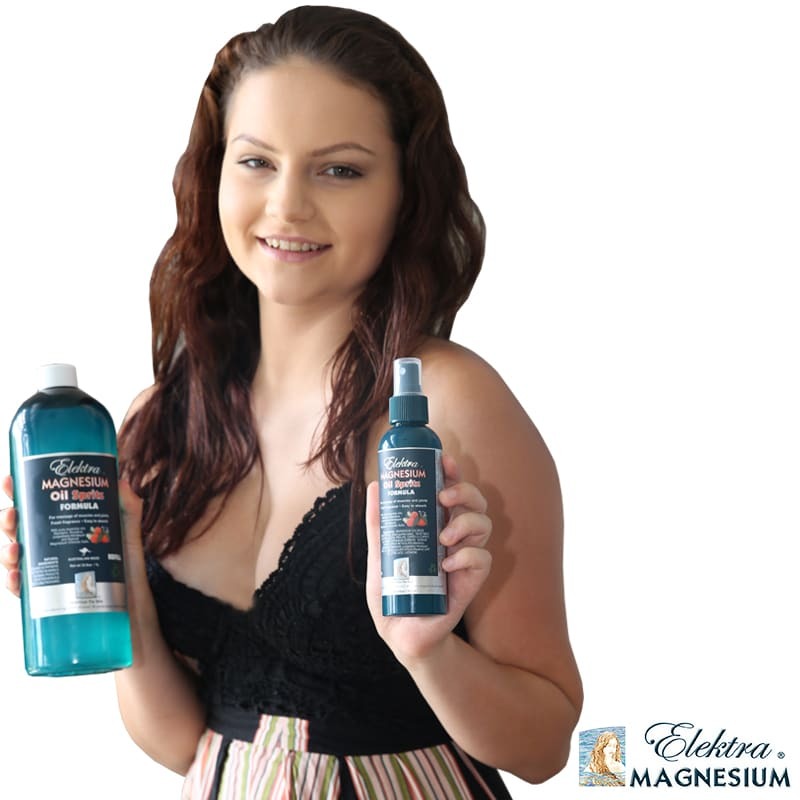 For the best magnesium skin care use Elektra Magnesium Cream or Lotion and followup with extra sprays of Elektra Magnesium Oil Spritz formula when you need extra strength magnesium. 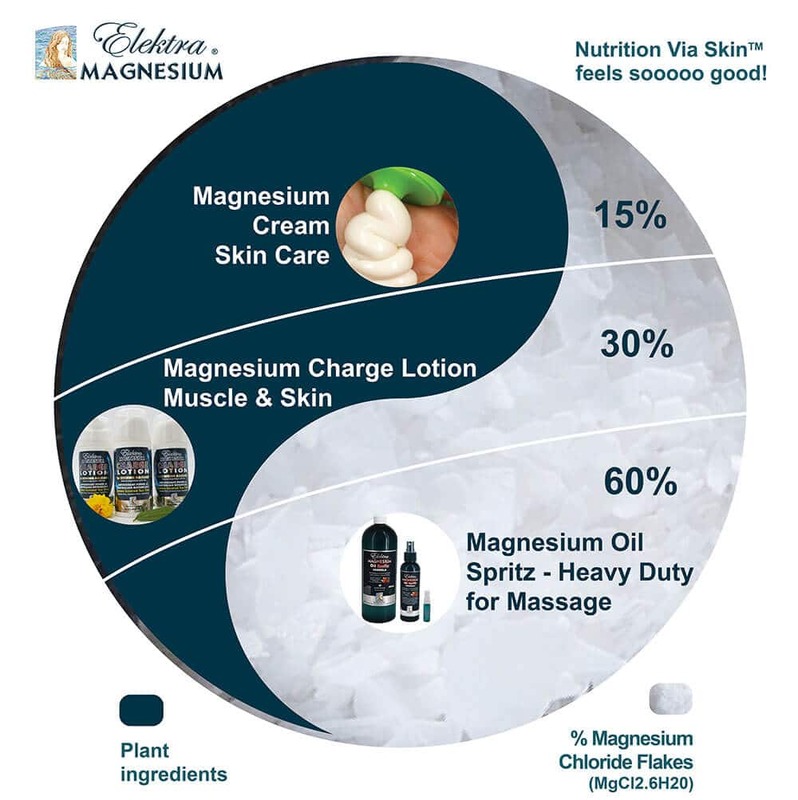 The better the condition of the skin the better the absorption of magnesium. The more lipids (fats) in the skin layer the less likely you are to feel any tingling sensation from high concentration magnesium salts. Avoid application to broken skin. Rapidly absorbed for uptake into cells, tissue, organs, and bloodstream, to help prevent magnesium deficiency. Natural Elektra Magnesium Chloride mineral salt flakes (food grade) also incorporate 2% other sea trace minerals – essential for good health and wellbeing. It’s a ‘mineral package from Nature’ for better nutrition. Magnesium Chloride Hexahydrate used is ‘food grade’ and tested in Australia by an independent laboratory, with no mercury and no lead detected. Each 180ml bottle contains approximately 111 grams of magnesium chloride hexahydrate in solution of purified water (61.8%). Additional natural ingredients: Vegetable glycerine, Cocoyl proline, Caprylyl/Capryl glucoside, Potassium sorbate, Sodium borate, and the Essential Oils of Mandarin, Juniper berry and Rosalina. Seven sprays contain around 400mg of elemental magnesium. 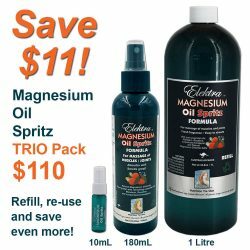 Magnesium Oil Spritz for Heavy Duty Magnesium. Absorbs fast!